Shows: Batman: The Animated Series, Batman Black and White, Batman with Robin the Boy Wonder . 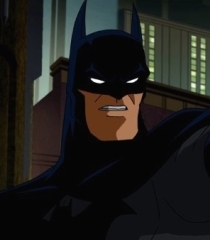 Movies: Batman: Gotham by Gaslight, Batman: Gotham Knight, The Dark Knight. Games: Catwoman, Batman: Arkham Origins, Batman: Arkham City. Shorts: Batman Of Shanghai, DC Showcase: Catwoman, Batman Beyond.